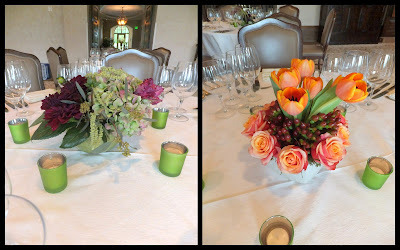 Dinner parties are always fun, and even more fun with beautiful flowers! These tables centerpieces were fun, contemporary and beautiful in color. The arrangement on the left is made with dark burgundy dahlias, antique green hydrangea and hanging amaranths. 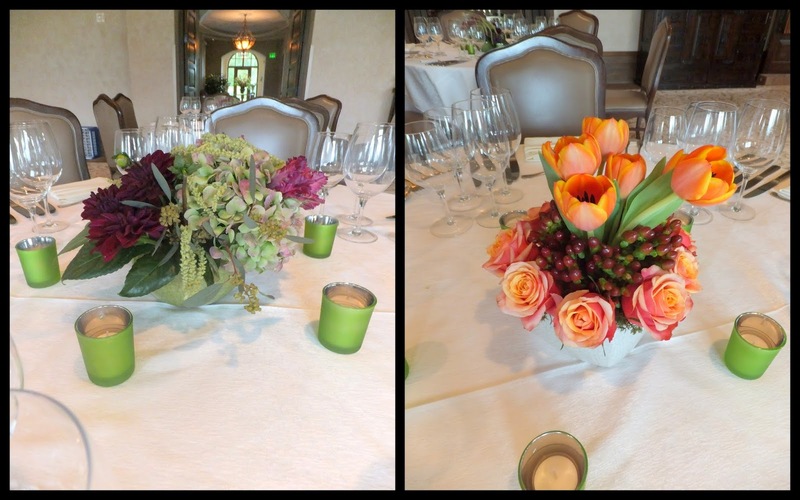 The arrangement on the right is made with tulips, hypericum berries (or coffee bean), and two tone orange roses. The buffet arrangements on a contemporary black metal art piece is created in a flowing design to showcase the structure and soft arching flowers. 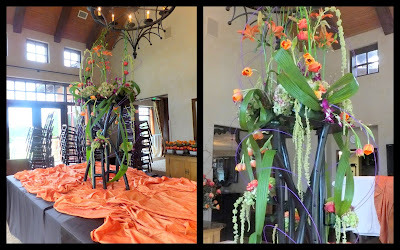 Made with tulips, lilies, hanging amaranths, dendrobium orchids, and tropical leaves.